Vince Wilfork might have gone out on top with the New England Patriots. The All-Pro defensive tackle announced Thursday on Twitter that the Patriots aren’t picking up his two-year option, which clears $8 million in salary cap room. 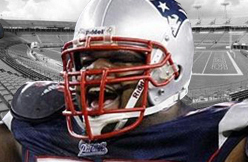 Wilfork will hit free agency Tuesday at 4 p.m. ET. Wilfork will hit free agency and said in his statement he will consider many options. He didn’t specifically rule out a return to the Patriots, which obviously would come at a reduced rate. If Wilfork has played his last game with the Patriots, then he went out the right way, winning Super Bowl XLIX. Wilfork returned from a torn Achilles tendon and had a great 2014 season, playing all 19 games and being a cog in the middle of the Patriots’ defense. Wilfork will have bookended his career in New England with Super Bowl victories, also winning Super Bowl XXXIX in his rookie season. Freeing up this cap room could help the Patriots re-sign Darrelle Revis or Devin McCourty. Once Revis’ option is declined, the Patriots will have around $16 million in cap space. The Carolina Panthers won the NFC South and a first-round playoff game in 2014. But the Panthers also finished below .500 overall and definitely have some holes that need to be filled via the draft. Wide receiver and offensive tackle would seem to be the Panthers' biggest needs -- drafting one would give quarterback Cam Newton more weapons and drafting the other would help keep Newton upright. On Thursday night's "Path to the Draft" show on NFL Network, NFL Media analyst Daniel Jeremiah described the Panthers' offensive tackle situation as "awful," and he said picking Miami (Fla.) tackle Ereck Flowers with the 25th overall pick would be a good move. Coincidentally, Jeremiah has Flowers as his No. 25 overall prospect. Jeremiah called Flowers (6-foot-6 1/4, 329 pounds) "a big, physical, dominating run blocker." Jeremiah said Flowers "needs to get a little bit better, technique-wise, in pass protection." Flowers was a part-time starter at right tackle as a true freshman in 2012 before moving to the left side in 2013 and becoming a full-time starter. Some analysts see him as a better fit on the right side -- at least initially -- in the NFL. "He will be an upgrade at right tackle" for the Panthers, Jeremiah said. "To be honest with you, he's better than anything they got at left tackle, too." Fellow analyst Mike Mayock has said he sees Flowers -- who is Mayock's No. 4 tackle -- as a future Pro Bowl player on the right side. Newton is one of the most mobile quarterbacks in the NFL, but the Panthers still allowed 42 sacks in 2014. In addition, Carolina had just 10 rushing touchdowns. Flowers -- who had 37 reps in the bench press at the NFL Scouting Combine, the most of any player -- missed one game in 2014 after minor knee surgery, which ended a streak of 21 consecutive starts. Jason Fox wondered privately why he wasn't getting a chance to start at right tackle late last season. Rookie Ja'Wuan James had been moved from right tackle to left to replace injured Branden Albert. And Dallas Thomas, the new starting right tackle was struggling so much, reporters asked coach Joe Philbin about a change practically twice or more times each week. (When reporters realize a change is needed, you know something's pretty obvious). Then Thomas got injured the final two weeks of the season and the Dolphins had no choice but to play Fox. And he was an upgrade over Thomas in pass protection. Well, that apparently opened some eyes because today the Dolphins re-signed Fox to a two-year contract worth a total of $2.5 million. That's actually a bit of a raise over last year when Fox played on a veteran minimum one-year deal. Well, you can bet the Dolphins won't wait until the final two weeks of the season before trying to stop the turnstile to quarterback Ryan Tannehill if another starting tackle is injured. You can bet Fox will at least have a chance to compete to be the backup if this contract doesn't make him that now. As for Thomas, it is obvious he's more suited to be a swing guard or tackle. He's probably the seventh offensive lineman on a good team -- someone you hope can develop into a guard while still having the ability to play tackle in dire circumstances rather than turning to him the final two months of the season. CHARLOTTE, N.C. -- The Carolina Panthers on Thursday signed Pro Bowl tight end Greg Olsen to a three-year extension worth $22.5 million. The extension includes a $12 million signing bonus with an average annual salary of $7.5 million, according to Olsen's agent, Drew Rosenhaus. 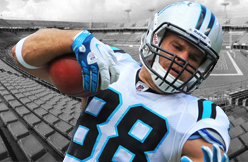 He is entering the final year of a five-year deal with Carolina with a 2015 salary-cap figure of $7.8 million. The new deal runs through the 2018 season. Olsen made his first Pro Bowl last season after setting team single-season records for receptions (84) and receiving yards (1,008) by a tight end. He was third among all tight ends in receptions, second in yards and tied for seventh with six touchdowns. The six touchdowns made him the only NFL tight end with five or more touchdowns in every season since 2008. The Panthers acquired Olsen at the start of training camp in 2011 in a trade with Chicago, which received a 2012 third-round pick. Olsen was a first-round pick (31st overall) by the Bears in 2007. ESPN analyst Tedy Bruschi was on “SportsCenter” Thursday, and he discussed Vince Wilfork and the Patriots not picking up his contract option. Bruschi senses that Wilfork’s letter was a goodbye. Bruschi was asked about possible fits around the NFL for Wilfork. As he prepares to hit free agency next week, Antrel Rolle said he has not had any conversations with the Giants about a return for the 2015 season, a possible sign that he won't be back. Rolle, 32, has said he'd like to play for the Giants for the rest of his career, but he seems to be coming to grips with the reality that he probably won't. The Giants have exclusive rights to negotiate with Rolle until the window for teams to speak with prospective free agents opens tomorrow. Rolle said he has not heard from any other teams -- he wouldn't be able to legally, anyway -- and dispelled reports that he is heading elsewhere or that any negotiations have taken place. Rolle said he won't rule out any possible landing spots. ""When you are a free agent, you think about any team," he said. "There is no team that is going to be out of the loop. This is strictly a business move . . . If there are going to be 32 teams out there interested, I'm going to look at all 32 teams." And, it seems more and more likely, a former Giant. Rolle also had his thoughts about other Giants matters. He is, after all, still the captain for at least a few more days. Asked about the team's potential interest in defensive tackle Ndamukong Suh, he said: "That would be a hell of a move if the Giants could pull that off." Asked about the Eagles' trade of LeSean McCoy, he said he still was surprised. "If I was to return to the Giants, absolutely, that would definitely make my job a whole lot easier," he said. "I've always said he's the hardest guy to tackle." And asked about the team's lackluster defense last season, which cost coordinator Perry Fewell his job, Rolle said that "things were just out of whack." When he first arrived with the Giants, it did not seem as if Rolle would be able to coexist with Tom Coughlin and the rest of the traditionally buttoned-down team. He spoke his mind, and that led to some disagreements with the coach and the front office. Rolle even said that after his first season with the Giants, he was "99 percent" sure he would not play out his contract. Soon, though, he adapted to the Giants' culture. "It was going to be [Coughlin's] way or the highway," Rolle said, "and I didn't want the highway, so I changed." This time, he may not have a choice. The highway beckons. And change once again is imminent. For years, Texan fans seethed over the perception that Gary Kubiak was overly loyal to players. He was afraid to cut "his guys," many of whom he'd happily doled out extensions for sometime in the recent past. Real or imagined (and honestly, like most things in life, the truth was probably somewhere in between), Texan fans believed this dynamic existed, so when they had to endure more bad seasons than good, there was a frustration level over why the Texans weren't conducting business like a "real NFL team." Why can't they be more like the Patriots??? That was the lament. Well, you're getting your wish now, Texan fan. It's clear who's running the show at NRG Stadium, and there are no scraps in Bill O'Brien's scrapbook. To wit, 24 hours after telling Andre Johnson he can seek a trade, now center Chris Myers is gone, released on Wednesday afternoon after his seventh season with the Texans. Myers arrived in Houston from Denver in a trade for a sixth round draft choice before the 2008 season. It would wind up being one of Rick Smith's and Gary Kubiak's best moves as a duo, as Myers would start all of the 112 games he played as a Texan and currently carries the league's longest active streaks for games played by an offensive lineman (153) and consecutive starts at center (128). The Texans release of Myers opens up another $6 million in salary cap space for the Texans, who are now approaching around $30 million in total cap space on the cusp of free agency beginning over the weekend. While the cap space unto itself is an exciting wrinkle in the last two days' fallout, the release of Myers sends the offensive line into a state of churn. Presumably, this means Ben Jones moves over to his more natural center position and second year guard Xaiver Su'a-Filo moves into the starting lineup at left guard. Upon getting the news today, Myers initial emotion was actually thankfulness. "Apprehensiveness and gratitude just from the seven years that I was just able to be a part of the Houston Texans." Myers said on my radio show on SportsRadio 610. "Houston has been able to change my life and my wife's life tremendously, professionally and personally. "With Mr. McNair and his wife Janice kind of opening the doors to us and seeing how the organization is run on a first class level. It just trickles down hill, from the character of the guys, to the fans to how everything is so supportive in the community. It is just all around a phenomenal experience." Before he had a chance to notify his teammates of the news, Myers was actually met at the stadium this afternoon by his longest tenured teammate (not named Andre Johnson), fellow offensive lineman Duane Brown. Brown has never played a game in the NFL in which Myers hasn't been playing two spots down from him on the offensive line. "Those are the kind of things that you are going to truly truly miss," Myers said. "But you understand the business part. When you play long enough you see this happen ever single year. And I think if you are able to understand it and be accepting of that process when it is your time it is a lot easier." The most likely landing spot now for Myers would appear to be right back where he started, in Denver playing for the Broncos, only this time it would be for his head coach for a majority of his Houston tenure, Gary Kubiak. (Worlds are colliding!!) Kubiak is in the process of installing his offensive playbook, which conveniently calls for a smart, light, agile center. Myers is leaving all his options open for now. "I'm interested in any situation that is going to be able to kind of help my family and what we're looking for right now. The interest of my kids and my wife are going to be my main concern for me," Myers said. "For one, I do want to play ball. I feel like i have a lot left in me. I've been able to take care of my body in a way to extend my career as long as I need to. "Kubiak has his thing going on up there, and i'm very familiar with his system but there are plenty of things I want to see where my options are." 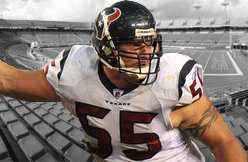 In his seven years in Houston, there may be no player more active in the community than Chris Myers. Inspired by his young son Keane, Myers' work with Operation Smile, providing children around the world with surgeries for cleft lips and cleft palates, is well documented, as is his support of charities like Blue Cure for prostate cancer awareness. Myers was also the driving force behind the "DQ Strong" t-shirt campaign this past summer that raised $100,000 to help fight lymphoma in honor of his cancer stricken teammate, David Quessenberry. That's who Myers is. I could go on and on about him, so I will. Last November, our station was dedicating the afternoon drive hours one day to a campaign to raise money for the Paralyzed Veterans of America. Myers was in his car listening (something the self-proclaimed "talk radio junkie" does every day), texted me and asked what the charity was, proceeded to look up more info about it on his cell phone, and promptly texted back that he was donating $2,500. Myers was also happy to pitch in when our station was raising money this past November to help build Hope Lodge Houston, a place where families of cancer patients being treated in the Medical Center will be able to stay for free someday. As one of our auction items, Myers happily volunteered to go to dinner with multiple listeners. It was one of the highest ticket items that sold during the campaign. "I'm super appreciative for the city, the fans. The fans are unreal. For all the things the guys have going on in the community all their different organizations and foundations and fundraising. I've never seen anyone jump on board like Houston Texans fans. They're second to none, that's for sure." The city will, no doubt, miss Chris Myers the father, husband, and citizen, as much as they miss Chris Myers the football player. Defensive tackle Vince Wilfork said Thursday that he would not return to the New England Patriots next season, ending an 11-year stay in which he won two Super Bowls and established himself as the cornerstone of the team’s defense. In a statement posted on Twitter, Wilfork said the team had told him that it would not pick up his option for 2015, making him eligible for free agency. A 6-foot-2, 325-pound gap-stuffer who was drafted in the first round out of Miami in 2004, Wilfork helped the Patriots win the Super Bowl when he was a rookie. He returned to the title game in two losing efforts, and last month he helped the franchise win its fourth championship. He was due to receive a $4 million roster bonus by Monday and would have gotten $14 million over the next two seasons if his option had been picked up. The money the Patriots saved could help them bring back cornerback Darrelle Revis. Wilfork, 33, missed 14 games in 2013 with a torn Achilles’ tendon. But he returned to play in every game last season, including three in the postseason. Cardinals outfielder Jon Jay took batting practice on Thursday for the first time this spring, reports MLB.com. Jay underwent surgery on his wrist during the offseason and said his goal is to be ready for St. Louis' opener April 5 against the Cubs. Per the report, this puts Jay currently ahead of his rehab schedule. Denzel Perryman to be this year's Chris Borland? ESPN's Todd McShay wrote that he "love[s] the tape" of Miami ILB Denzel Perryman. "He's probably going to be this year's Chris Borland as a guy who is a great football player and succeeds in the NFL despite having less-than-ideal measurables," McShay wrote. "But there will be some concern from NFL teams over his below-average scores in the vertical (32 inches) and broad (9-5) jumps." Perryman (5-foot-10 3/4, 236 pounds) ran a 4.78 40-yard dash at the combine, a poor showing. An anonymous NFL scout recently said that Perryman has "got some stiffness to him," and another predicted "second or third round." Of course, with Johnson recently requesting to be either released or traded from the Houston Texans this offseason and the Colts in real need of a proven wide receiver, it could become a distinct possibility. To be fair though, It's not like Andre had HOF QB's throwing to him in 2014. It’s somewhat hard to believe Johnson made it through the 2014 season in Houston. In any event the time appears right to part ways after 12 seasons. Now 33 years old, Johnson has dipped in production (especially finding the endzone) but can still be a major contributor to plenty of NFL offenses. Statistically over the past two seasons he’s valuing out at over $6M per year, though it’s perfectly possible he can push $10M should the market be there. ohnson may be a nice piece for the Colts as a complimentary #2 wide receiver to deep threat T.Y. Hilton; however, he’s not worth the $10 million in base salary given his recent production. That’s an awful lot of money for a wideout who is set to turn 34 years old and whose best days are clearly behind him. For comparison’s purposes, at age 30, Brandon Marshall is due a $9.575 cap hit in 2015, which is less than the amount the Colts are reportedly willing to pay Johnson. On T.Y. Hilton‘s next projected contract, who’s a better player than Johnson at this point in their respective careers, he’s only expected to command around $9 million annually. Still, if push comes to shove, Johnson would be a welcome addition to the Colts receiving corps if there are no other proven options available. Even given his diminished skill-set, he still figures to be an upgrade over both Reggie Wayne and Hakeem Nicks at this stage of their respective careers. It’s just our sincere hope that it’s not at his current exorbitant $10 million dollar price tag. Johnson was frequently a second/third read in a crap one-read passing offense, and he still caught 85 passes for almost 1,000 yards. Watching A. Johnson's 2014 tape -- can still create separation through toughness, route awareness. QBs were unbelievably bad. Change needed. Brooks: "Duke Johnson in my mind would probably be the best fit. He's a carbon copy of Shady McCoy stylistically, the way he runs inside and outside. He's outstanding as a receiver out of the backfield. He could make a seamless transition into that system because his skills are identical to those of Shady." 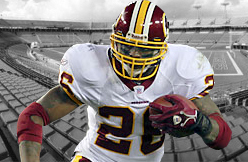 Clinton Portis was one of the best running backs in the history of the Washington Redskins franchise. He is currently second for the Redskins and 30th in the NFL for career rushing yards. Despite all this success he had in his career, he still wishes that he would have picked a different position as he was coming into the league. Portis does have a point. Not to mention the lifespan of running backs is very low. According to a study, the average player is in the NFL for 3.3 years. Running backs last for just 2.57 years. The running back’s life span is the lowest in the NFL and for good reason. They are constantly getting pounded by linebackers and defensive linemen who have 50 pounds on them. Rushing between the tackles takes its toll on the body. Consequently, this shortens their production level and career length. Portis also argues that running backs are more or less expendable in the NFL. This is because of the common trend that NFL teams have adopted is a running back by committee offense. “I think the running back position has gone to running back by committee,” Portis would go on to say. “You don’t need a running back that’s tough… You can give a running back 12 to 15 carries, then you got somebody else coming in on third down, you got another guy coming in for passes; you’ve got so many running backs that it’s able to be devalued. This kind of makes sense. After all, why would a team pay an aging running back for past production, when they can get three younger players all at a discount who can produce about the same when combined. The most recent example of this is Lesean McCoy being shipped to Buffalo in a shocking trade. The Eagles now have gotten rid of the aging McCoy who would come with a giant contract whom they think is more or less replaceable. One of the most famous examples of this comes from one of the best running backs in the history of the NFL to spend the last two years of his career sharing touches with Shonn Greene for the New York Jets. LaDainian Tomlinson spent this first nine years of his career with the San Diego Chargers. But following the 2009 season, where Tomlinson did not break 1,000 yards for the first time in his career, the Chargers got rid of the running back who is currently number five on the all-time rushing yards list. So to Clinton Portis’ point, running backs in the NFL are kind of expendable. Even the great ones. I don’t blame him for wanting to play a different position. Especially something like DB, where you use your speed and athletic ability to bat down balls or get interceptions instead of crushing your body into 300 pound defensive linemen as a running back. The next 10 years should be telling as to what the future holds for running backs in the NFL. But for now, players like Lesean McCoy will have to deal with being shipped around from team to team at the end of their careers. Last May, reports emerged that veteran Texans wide receiver Andre Johnson was planning to hold out in hopes of getting traded from the rebuilding Houston squad to a contender. Some speculated the Patriots could be in on the ensuing bidding war, but none took place: Johnson reported to training camp on July 25, effectively ending the trade saga. On Monday, the Houston Chronicle reported Johnson asked to be traded or cut after the team told him his role would be reduced next season. And this time, it appears the threat of his departure will come to fruition. Cue the speculation of Johnson donning a Patriots uniform next season. On the surface, the move makes sense: even at 33, Johnson is a tremendous talent with a legitimate shot at the Hall of Fame. But he’s not coming to New England. Any team that trades for Johnson becomes responsible for his base salary, which comes in at $21.5 million for the next two years. And no team is going to assume that much salary for two seasons of a player who only netted 936 yards and three touchdowns last season, regardless of the mitigating factors. The much more likely scenario is the Texans cut Johnson, eating $7.3 million in dead money before June 1st or about $4.6 million after — cap hits they would also swallow in the unlikely event of a trade. This leaves free agency, where Johnson will command just a fraction of the salary he’s due as of today. Think along the lines of Steve Smith’s three-year, $11.5-million pact or a little higher, given Johnson’s being a year younger than Smith was when he signed his deal and his coming off a slightly (200 more yards, one less touchdown) more productive season. Already millions over the 2015 salary cap (though slated to be $14 million under if and when they decline Darrelle Revis’s option), and with pressing needs elsewhere, the Patriots aren’t about to drop $4-5 million per year on an over-the-hill wideout, even one of Johnson’s caliber. Remember, this is a receiving corps that just helped Tom Brady torch — relatively speaking — the best defense in a decade to the tune of 328 yards and four touchdowns. Between Rob Gronkowski, Julian Edelman, Brandon LaFell, Tim Wright, Danny Amendola and even the seemingly forgotten Aaron Dobson, the Patriots don’t lack for receiving threats. With his $5.7 million cap hit, Amendola is a likely candidate for restructure, but cutting him outright will only save the team $2.1 million before June 1, nowhere near enough to pay Johnson. The speculation is Johnson wants to play with a contender, and given the Texans’ history, thats understandable. So who better than the reigning champs? Brady would be far and away the best quarterback he’s ever played with, and would likely spark a rebound season or two. But unless Johnson will take a check at dramatically under his market value, that’s simply a pipe dream. The Texans’ decision to release center Chris Myers changes two positions the offensive line and is another indication they’ll be major players in free agency for the first time since 2011. Free agency begins Tuesday at 3 p.m. The Texans are currently $27.3 million under the salary cap after picking up an additional $6 million with the Myers’ move. Myers, a 10-year veteran who didn’t miss a start during his seven seasons with the Texans, probably will be replaced by left guard Ben Jones. Jones was drafted in the fourth round in 2012 to eventually replace Myers. If Jones moves to center, as expected, it clears a starting spot at left guard Xavier Su-a-Filo, last year’s second-round pick who had a disappointing rookie year considering he was the 33rd overall pick. But, as coach Bill O’Brien is fond of saying, it’s about competition, so nothing is guaranteed unless Jones and Su’a-Filo earn the jobs. Myers represented one of the best trades in franchise history. In 2008, general manager Rick Smith traded a sixth-round pick to Denver for Myers, who started 112 consecutive games. Myers, 33, has more consecutive games played (153) than any active offensive lineman in the NFL. He also has more consecutive starts (128). “I think I have a lot of ball left in me,” Myers said. “When you play as long as I have in this league, you have to be prepared for something like this, no matter what the scenario is. Myers was one of the most respected players in the dressing room, a team leader who was a tireless worker in the community. He was on his way to Haiti to participate in a relief effort involving some NFL players. “I’m super-appreciative of everything that happened here,” Myers said. “The Texans are a first-class organization from Bob and Janice McNair on down, and I’m so grateful for my seven years here. A couple of options for Myers might be Denver and Miami. The Broncos are coached by Gary Kubiak, and Myers is an ideal fit for their zone scheme. The Dolphins’ offensive line coach is John Benton, who coached Myers during his first six seasons with the Texans. “Chris has been a mainstay on our offensive line for the past seven seasons,” Smith said in a statement. “He has been a consummate pro during his time here in Houston. Myers is free to sign with another team at any time because he was released. Even though free agency starts Tuesday, teams can officially begin negotiations with free agents from other teams beginning Saturday, but they can’t sign before free agency starts. Expect Smith, O’Brien and vice president of administration Chris Olsen to be on the phone 24-7. The Texans are trying to re-sign some of their free agents, but we’d be naïve to think all will return. Quarterback Ryan Mallett, cornerback Kareem Jackson, outside linebacker, right tackle Derek Newton, outside linebacker Brooks Reed, free safety Kendrick Lewis and inside linebacker Akeem Dent are some who could re-sign or leave for greener pastures. It’ll be interesting to see who Smith and O’Brien want to sign from other teams. They have a lot of needs. If they lose Mallett, Jackson, Reed and Newton, they’ll have to be replaced in free agency or the draft. 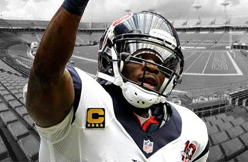 Wide receiver is the top priority with Andre Johnson’s imminent departure through a trade or being released. The two-best free agents are expected to be Green Bay’s Randall Cobb and Philadelphia’s Jeremy Maclin. The Texans also need another pass rusher, cornerback and nose tackle, among other needs as free agency and the draft approach. Houston has been home for the last seven years. Can't begin to say thank you to the organization, my teammates and especially the fans! We have made so many friends and built so many relationships that we will keep forever. Grateful for the opportunity and appreciative for all the love and messages. Know that the @houstontexans will always have a special place in our hearts. End of one chapter but turning the page to the next! Jon Beason has enjoyed the process of acting as his own agent. But the linebacker is now dipping his toes into the less pleasurable side of the business. 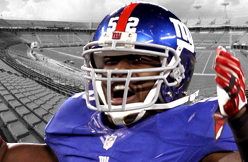 According to Beason himself, he's in the process of renegotiating his contract with the Giants. While he didn't go into details about some version of a pay cut during an interview with Sirius XM Wednesday, that's what it looks like. Beason is scheduled to make almost $6 million this year, which translates to nearly $8 million against the salary cap. At the least, some money will have to be moved around. "As you get older in this league you realize, unfortunately, that it's not just about family or bleeding Carolina blue and black or blue and red," Beason said on Sirius. "They want you to have that perception of what this game is, but it's truly a business. And if you can't produce at a high level often, whether it's through injury or whether you're not playing well, there's going to be some change." 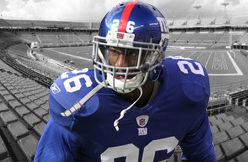 Beason is a great option for the Giants if healthy and added that he's confident he'll remain on the team. Unfortunately for him, he's played in more than four games just once over the past four seasons. After securing a $16.8 million deal on his own last March, he missed 12 games with a series of foot injuries. The Giants will undoubtedly be looking for another linebacker via the draft and free agency, but do hope Beason is around at the right price to give it another shot. When he's healthy, he can still transform a defense. "You kind of see how business works and unfortunately," he said. "When you're making more than league min, you're susceptible to taking a pay cut based on injury. And a lot of that has to do with leverage that the teams have. And what I've learned is, you can't take it personally." It doesn't look like safety Antrel Rolle will be with the Giants next season. According to the New York Daily News, contract negotiations between the two parties haven't gone well. Rolle doesn't want to come back for much less than the $7 million he earned for each of the 2013 and 2014 seasons. It's also possible that Rolle winds up with the Dolphins, the report states. Rolle recorded 87 tackles and three interceptions in 2014. The Buffalo Bills continued their aggressive offseason by working out a trade for three-time Pro Bowl running back LeSean McCoy. Buffalo will send linebacker Kiko Alonso to the Philadelphia Eagles in a move that cannot be made official until next week. The fallout from this trade means running back and former Bills first-round pick C.J. Spiller will not return to Buffalo. The pending free agent is set to hit the open market on March 10. According to ESPN's Josina Anderson, the Miami Dolphins are among several teams interested in Spiller. Miami is searching for another tailback to pair with starter Lamar Miller, who rushed for 1,099 yards and eight touchdowns last season. Is Spiller a good fit for Miami? My reaction is mixed. Spiller's skills and running style works well with the quick-hitting offense Miami wants under second-year offensive coordinator Bill Lazor. Spiller is a home run hitter who has averaged 5.0 yards per carry over his five-year career in Buffalo. The Dolphins like to spread the field with three- and four-receiver sets to create running lanes for quicker running backs. Spiller makes sense for those reasons. But on the other hand, Spiller and Miller are similar players and Spiller is less durable. He's missed eight games the past two seasons due to injuries, and although the market for running backs isn't great, Spiller wants to be well compensated in free agency. The Dolphins have too many larger needs (linebacker, defensive tackle, safety, guard, cornerback) to overspend for a backup running back. The Dolphins are better off finding a running back with power that is much cheaper in the NFL draft. This is a deep position this year with good talent in the second, third and maybe fourth rounds. Spiller is a dynamic talent when healthy and should help a team next season. But the Dolphins shouldn't press and overspend to sign another Lamar Miller clone. The Texans recently gave receiver Andre Johnson permission to seek a trade. Johnson won’t be doing that. Johnson’s agent, Kennard McGuire, tells PFT that he has asked the Texans to release Johnson. The impasse arose when the Texans recently informed Johnson he’d have a reduced role in 2015. Johnson responded by saying that he won’t be happy with a reduced role, so it would be better for him to be elsewhere. The Texans responded by granting him permission to seek a trade. McGuire believes deliberately leaked to John McClain of the Houston Chronicle the notion that Johnson asked for a trade in an effort to minimize local criticism of the franchise for its treatment of a player who has been with the Texans for all but one year of the team’s existence. Indeed he does. The Texans know that no one will pay $11.5 million to a receiver who’ll turn 34 in July. At most, a trade would have happened with Johnson doing a new deal. So instead of doing a new deal elsewhere as part of a trade, he should have been cut and given the chance to do that new deal elsewhere. The ball is now back in the team’s court. The only right thing to do at this point is to thank Johnson for his 12 years of loyal service and release him, giving him a six-day head start on the unrestricted free agency market. Entering his 11th season, Gore has been one of the most productive running backs in the sport over the past decade. The five-time Pro Bowl halfback and former Miami star has exceeded 1,000 yards eight times in 10 seasons and ranks second to Steven Jackson as the NFL’s active leading rusher with 11,073 yards. His 64 career rushing touchdowns is fifth among active NFL halfbacks and he’s top 10 with an average of 4.5 yards per carry. Gore hasn’t worn down over the years. He’s played 16 games in each of the past four seasons and has exceeded 1,100 yards in each of the four. He also has 342 career catches for 2,883 yards and 11 receiving touchdowns. Gore made $6.45 million last year in base salary and bonuses. I absolutely believe Gore would be a great free-agent addition. He’s shown no signs of breaking down — the opposite, actually — and he won’t cost the Eagles much. He wouldn’t even be a full-time ball carrier as Chip Kelly will surely go to the committee approach. Gore’s skill set is perfect for Kelly’s inside and outside zone schemes. He’s a powerful, north-south, one-cut runner who can still break long runs because he has tremendously quick feet. He’s hardly super speedy but he’s patient and agile. He’s the kind of running back who could thrive getting the ball 10-12 times in Kelly’s offense. As long as he’s willing to be a piece of the pie — an inexpensive one — Gore could be a really nice pickup. I’d love to see the Eagles sign Gore just so I can watch Marcus Smith try to cover him at practice. OK, cheap shot. I love Gore. How can you not? Consistent, durable, productive. And like Mosh said, he’s playing as well as ever. He’s one of only five backs in NFL history with four 1,100-yard seasons after his 28th birthday. The others are Ricky Watters, Walter Payton, Tiki Barber and Thomas Jones (of all people). Assuming Gore’s age scares away most teams and his asking price is reasonable, I’d consider bringing him in as a part-time guy. Assuming Roc Carmichael is willing to give up his No. 21 jersey. Clinton Portis thinks there's one absolute winner in this blockbuster running back for defensive player trade. "I don't see Kiko Alonso turning out to be a J.J. Watt or a Ray Lewis, just dominating this conference," Portis said Wednesday on NFL AM. "Maybe he does, but I don't see it. It'll be hard to do. The Bills really won in this trade and I know for LeSean McCoy, there's some aggravation in being traded, you feel like you've done so much for a city, but you have an opportunity to go to a team that wants you, play for Rex Ryan, a guy you know will run the ball." He added: "This is a trade I really don't understand." Portis' perspective is interesting. Exactly 11 years ago Tuesday, he was dealt in a blockbuster trade that sent him to Washington in exchange for cornerback Champ Bailey. Portis went on to play seven years in his new destination while Bailey put in 10 with the Broncos, an expected range given the lifespan of a running back in the NFL. By all accounts, that trade was relatively even. Portis put up over 1,000 yards in four of his first five seasons in Washington and Bailey picked off 21 passes in his first three seasons (including 10 in 2006). But in Portis' mind, this is not that kind of trade. In a way, he's right. Alonso is not as established a defensive player though Portis was speaking from the point of view of an observer who expects McCoy, 26, to give the Bills four more high-quality seasons. Is that possible? Can a back whose game is predicated on speed and breakneck movement keep up that kind of production into his 30's? Alonso, meanwhile, is just 24. He's also much, much cheaper. Shane Larkin did not score in 26 minutes in the Knicks loss versus the Pacers on Wednesday with two rebounds and four assists. He's played 27.3 minutes per game since his return to the lineup back on Feb. 27, averaging 8.3 points, 2.3 boards, 3.5 assists and 0.5 treys. Larkin could get hot, but he hasn't had consecutive good games for basically the entire season. No thanks for now. 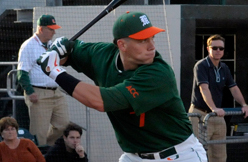 Peter O'Brien went 2-for-3 with an RBI single in a win over the Rockies Wednesday. O'Brien is a highly touted catching prospect, and he got off on the right foot Wednesday. His RBI single in the sixth inning got the Diamondbacks on the board, and he finished with two hits on the day. With the D'backs trading away Miguel Montero over the winter, it's not out of the question that the 24-year-old could break camp with the club. His defense is still a work in progress but O'Brien slammed 34 homers in the minors last season, so his power potential is undeniable. NFL Media analyst Charles Davis wrote that "teams will want to see more athleticism from [Miami ILB Denzel Perryman] at his pro day." That pro day will go down on April 1. "Perryman is a tremendous player, but the bench press (27) was the only test he showed well in during the combine," Davis wrote. "He's a tough, hard-hitting inside linebacker and looks good on tape. However, his combine numbers aren't going to impress any evaluators as they evaluate the top players at his position." 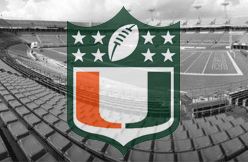 An anonymous NFL scout recently said that Perryman has "got some stiffness to him," and another predicted "second or third round." Despite the New England Patriots' decision not to franchise Devin McCourty, the free agent market at safety will still be relatively thin in 2015. In fact, in addition to McCourty, the only other potentially available safety that's worth a high-cost investment is New York Giants safety Antrel Rolle. With the Giants placing the non-exclusive franchise tag on Jason Pierre-Paul on Monday, it all but assured Antrel Rolle the ability to test the market come March 10th. And one team already reportedly prepared to pursue him is the Miami Dolphins, who also had him in their sights five years ago before he signed with Big Blue. #Dolphins will pursue Antrel Rolle in free agency. 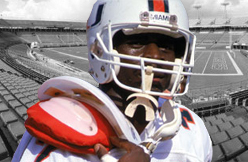 A proud member of the University of Miami during his college days, Rolle was excited by the prospect of potentially joining the Dolphins in 2010, going as far as to say it's be less strain on his parents if he played closer to home. "That would be nice," Rolle said at the time. "You know what I mean. I would love to take some of the burden off of mom and dad seeing as they travel to every game. Miami is home for me. I haven't played here in five years, but hey, we can make it happen." But Rolle didn't sign with the Dolphins. Instead, he signed a five-year, $37.1 million deal with the New York Giants and played out that contract in its entirety. Over the last five seasons, Rolle didn't miss a single game, barely missed a single practice, never once complained about his contract or asked for a raise/extension. Rather, he kept himself focused on winning a championship and in 2011, he did exactly that. It's that sort of focus and leadership head coach Tom Coughlin has raved about and a prime reason he wants the veteran back. "He's an outstanding young man and really I've never come across a player that was more interested in his team and trying to help his team be better in any way they could," Coughlin said. "I think countless Tuesday's Antrel was in my office with, 'How can we get better? What can we do to get better?' Just thoughts going back and forth between coach/player, in terms of how our team could improve. "I don't think I was ever involved with a player that was more sincerely interested in how his team could improve. And I admire that very much in him as a young man and a leader." On the other side of the coin, Rolle has started he'd like to retire with the New York Giants, but only after helping them win another championship. In order for that to happen, the two sides must come to a mutually beneficial deal — something that doesn't appear to be close at the moment. And with a safety market this thin, Rolle will likely attract a lot of potential suitors and generate a lot of offers that may be more than General Manager Jerry Reese & Co. are willing to spend. The first thing that jumps off Johnson’s tape is his elite burst and quick feet. He has great patience combined with elite vision which makes him stand out from the other runners in this deep class. He allows blocks to develop, then uses his short area quickness to explode through seams for big gains. The former Hurricane can change direction on a dime without slowing down and is a one-cut runner. Johnson may not be the biggest back but he finishes off runs and is not afraid to deliver contact to would-be tacklers. When watching a couple of his games, his physical style and competitive nature really stood out. He wants the ball in his hands and he is very fun to watch. He has improved as a receiver in every season, totaling 38 receptions in 2014 after combining for 31 receptions in the prior two seasons. Possessing his elite athleticism, he can separate from linebackers and is a pretty good route runner. He has soft hands and can make difficult catches. Johnson is a complete third down, NFL back. Although he has numerous positives in his game, Johnson does possess a few negatives. His elite athleticism makes him bounce more runs to the outside than he should and although he started all 13 games in 2014, he dealt with a few injuries in the 2013 season, including a season ending ankle injury. His ball security could also be improved as he fumbled three times last season. Overall, Johnson will soon be added to the list of great NFL players to come through “The U,” and he will succeed in a niche (third down) role for his future team. His competitive fire will influence teammates and per CBSsports.com, Johnson is driven to become the provider to his family, as they grew up living out of a car with their mother. Where would he fit in New Orleans? The Saints have yet to replace Darren Sproles’ third down production out of the backfield and the former Hurricane would be the perfect safety net for the aging Drew Brees. Johnson is a playmaker with the ball in his hands, both as a running back and as a pass catcher, and he would do wonders in the New Orleans offense. As of right now, he is not a three-down back and it would be best to keep him fresh by using him strictly in certain sub-packages and on third down. Johnson is the prototypical third-down back that the Saints have been lacking since Sproles’ departure. Where could the Saints draft him? Johnson is included in this very deep running back class where he is the fourth or fifth best ball carrier. Depending on the need for running backs, Johnson may be able to slip to the Saints’ third-round pick, as I project him as a mid-second to early-third round selection. Although he is a very good fit for the Saints, there will be other quality running backs available if he does not slip to New Orleans in round three. If he is conveted by the Saints, they could move back into the mid-to-late second round for a shot at selecting Johnson. It didn’t take much for New England Patriots fans to become giddy over the thought of Andre Johnson losing his job. The receiver either will be cut or traded by the Houston Texans after refusing to take on a reduced role, The Houston Chronicle’s John McClain reported Monday night. Patriots fans have longed after Johnson for years, and now that he’s 33 years old and in the twilight of his career, he might finally be available. Johnson would be a fine fit with the Patriots, but fans better know that they wouldn’t be getting Johnson circa 2009. They would be getting a player who just spent a year in Bill O’Brien’s offense and would likely be grateful at the shot to compete for a Super Bowl title. 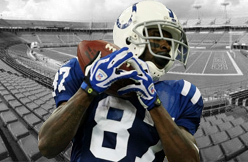 REGGIE WAYNE Wayne is in a similar place as his fellow “The U” product, Johnson. Wayne isn’t what he used to be, but he still could be a valuable weapon for the Patriots as a No. 3 receiver. Wayne has experience playing outside or in the slot, and the Patriots showed interest in him when he was a free agent two offseasons ago. Background: Last year was a lost season for Hankerson as he spent 14 games either on the PUP list or as a game day inactive. It wasn’t his first lost season as he has played in 16 games just once in his four years in the league. Even in his full season his production was not that impressive as he caught 38 passes for 543 yards and three touchdowns in 2012. The Redskins have been waiting for his breakout season and they may or may not keep him around to see if he can have it in 2015. Tandler: Go—Yes, I did write a couple of days ago that the Redskins could be looking for bigger wide receivers to help out in the red zone and at 6-2 Hankerson does fit that description. Well, he does according to the tape measure anyway. But he’s a big receiver who plays small. Hankerson has 81 career receptions, all with the Redskins. Can you recall any of them where he went up and outfought a smaller defensive back for the ball? There might be a few times he did it but using his height to his advantage is not a hallmark of his play; he is a big receiver who plays small. Add in his durability problems and you have a player you can let walk. El-Bashir: Stay (for now)—I’d be in favor of re-signing Hankerson with the intention of giving him one more shot to prove he can 1) stay healthy and 2) help the team. Given his injury history, I’m not convinced he can stay healthy. But I do recall his productive 2012 campaign (16 games, 38 catches, 543 yards, 3 touchdowns), so I’m also not ready to give up on the former third round pick, particularly since the Redskins have spent four years developing him. I say sign Hankerson to the veteran minimum, with no guaranteed money, and include bonuses for making the 53-man roster, for being active on game days and perhaps some additional incentives. If he makes the team, great. If he pushes No. 3 wide receiver Andre Roberts and second year player Ryan Grant, even better. If he can't, no big deal. It will be time for both sides to move on. Eleven years ago today, the Washington Redskins landed Clinton Portis in a blockbuster trade with the Denver Broncos. 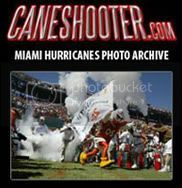 Portis, who played collegiality alongside Santana Moss and Sean Taylor at Miami, had an instant impact on the Redskins’ offense, rushing for 1,315 yards and five touchdowns in his first season. The next season, Portis would break Stephen Davis’ franchise record for most rushing yards in a single season — which has since been surpassed by Alfred Morris — with 1,516 yards along with 11 touchdowns. 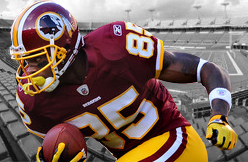 In seven seasons with the Redskins, Portis rushed for 6,824 yards and 46 touchdowns. Miami WR Phillip Dorsett is "now clearly in the Round 1 mix," according to ESPN's Mel Kiper. "Having 4.33 speed can move you up on a lot of boards, but Dorsett isn't just a track star -- he's a capable receiver and can help a team out immediately," Kiper wrote. The 5-foot-9 5/8, 183-pound Dorsett has apparently run as fast as 4.21 in training. As we like to remind readers, though: Don't count the speed into his evaluation twice. It's already a focal point of his game tape. Monday’s request by Andre Johnson that the Texans trade or release him caught many off guard. Be it Facebook or Twitter and everything in between, NFL fans everywhere took to social media to express their feelings on the unofficial end of an era in Houston. Johnson, meanwhile, used the same channels of communication to thank Houston and Texans fans with a message on his Instagram account. 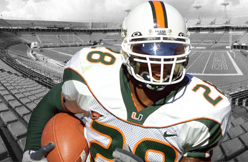 McGahee on the Grid: Former proCane RB and two-time NFL Pro Bowler Willis McGahee is a hopeful to join the National Pro Grid League, which will hold a “pro day” event in Miami this weekend. Grid, which touts itself the world’s first professional co-ed sport, is essentially Crossfit, but with teams. Two 14-person teams (split evenly between genders, with one of each over 40) race to complete 11 weightlifting and body-weight events. The league says there are eight teams, including the Miami Surge. 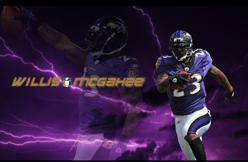 McGahee, who lives in Miami, will sign with that outfit. Those who perform well at pro day events may get invited to the league’s combine event in April. A Grid draft will follow. Athletes (yes, you, if you think you’re up to the challenge) can become eligible by signing up at GridReady.com. The league, which debuted last year, will make five appearances on NBC Sports Network this summer, which will also carry seven playoff matches. One of the standout wide receivers of his generation is set to leave Houston. According to John McClain of the Houston Chronicle, the Texans are allowing Andre Johnson to seek a trade. If Johnson is not dealt, he will be released, the Chronicle reported. According to the Chronicle, the Texans told Johnson he would have a lesser role in 2015, which led him to ask for his departure from Houston. Johnson is slated to make $10 million in salary in 2015, per NFLPA data. The No. 3 overall pick in the 2003 draft, Johnson has played his entire 12-season career with Houston, catching 1,012 passes for 13,597 yards and 64 TDs. He has made seven Pro Bowls. While Johnson turns 34 in July, he should nonetheless appeal to clubs looking to add a proven veteran presence to their receiving corps. He caught 85 passes for 936 yards and three TDs in 2014. 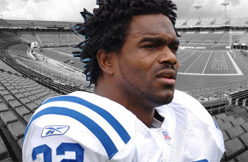 A Miami (Fla.) product, Johnson quietly starred on a string of mediocre-to-poor Texans teams early in his career. Houston finally made the playoffs in 2011, his ninth NFL campaign. If Johnson’s Texans career is indeed at an end, he will leave having caught 10 passes for 134 yards and a touchdown in his final game with the club, a 23-17 victory over Jacksonville in December. Though the Texans took care of business in the season finale, they fell just short of the playoffs. In many ways, it was an apt end to Johnson’s run in Houston — the star wide receiver doing his job well while the team fell just short in the end. With Johnson likely gone, third-year wideout DeAndre Hopkins will become the Texans’ go-to receiver, a role he’s probably ready to assume. Nevertheless, it will be jarring to see Andre Johnson, one of the Texans’ all-time greats now and forever, playing for someone else. Of all the 49ers’ players who become free agents next Tuesday, Frank Gore is the most prominent. The most revered. And though I don’t expect a professional football player to listen to my advice, I can’t help but offer it. 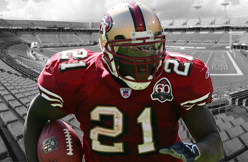 Gore has been the heartbeat of the 49ers since the moment he arrived in 2005. 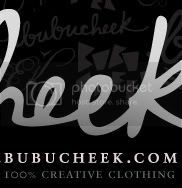 Humble, hard working, unselfish, abundantly productive. He has been through all the bad times, as well as the good. He has run, he has blocked, he has fought through injuries, he has persevered and he has been written off more times than my mortgage payments. The 49ers’ all-time leading rusher, one of only 20 players in NFL history to rush for 11,000 yards, Gore has a Hall of Fame resume. He’s missing one thing: a Super Bowl championship. And now, a few months shy of 32 and a free agent for the first time, Gore should pursue his best chance at a ring. I don’t think his best chance is with the 49ers. I could be wrong, but many who aren’t either on the 49ers’ payroll or blinded by a fan’s devotion to the team share my opinion. The 49ers have too many questions, coming off an 8-8 season in which they didn’t make the playoffs. They have downgraded their coaching staff at every position, save Gore’s, where Tom Rathman was retained. Their quarterback remains a huge question mark, having struggled in his third season as a starter. Colin Kaepernick isn’t the only mystery on the offense; the offensive line was a problem last year, the wide-receiver corps is in flux, and who knows if Vernon Davis will show up next season? Gore, at his age, needs a solid surrounding cast to be able to do what he does best. Indianapolis — a team on the championship brink — is said to be very interested in Gore. Who wouldn’t want to share a backfield with Andrew Luck? In addition, Rob Chudzinski — the man the 49ers reportedly pursued to be their offensive coordinator and who has ties to Gore from the University of Miami — is the associate head coach for the Colts. Indy isn’t the only potential landing spot. The defending champion, New England, doesn’t mind adding an experienced running back now and again. Baltimore’s John Harbaugh knows what Gore can do. Dallas might need to replace its free agent, DeMarco Murray. Teams in the 49ers’ division are in the market for running backs, and they might be closer to a championship than San Francisco. I expect Gore, one of the most respected players in the game, will have suitors. Gore has been tantalizingly close to a championship once. On Feb. 3, 2013, in the Superdome, it was Gore’s late-game rushing as much as anything that put the 49ers in position to win. Gore’s 33-yard carry took the 49ers down to the Ravens’ 7-yard line, and then he watched, without getting the ball, as the 49ers failed to score, and lost the Super Bowl. That was the nearest he has come to a ring. Gore expressed frustration several times last season. It was clear he was worried that his mysterious lack of opportunity on the field wasn’t hurting only the team but also potentially hurting his marketability. He told The Chronicle’s Eric Branch, in an interview in December, that he expected his age to be used against him on the open market. “I know they’re going to say that,” he said. “Starting with my seventh year, they started saying that: I can’t do it. I can’t do it. I can’t do it. I’ve prepared myself for that. That’s why this year I’m upset that I really didn’t show the world that I’m still Frank Gore. In that same interview, Gore said he wanted to be a “Niner for life” — but he also said he hoped Jim Harbaugh would return as head coach, which obviously didn’t happen. And, perhaps foreshadowing, he mentioned Alex Smith as one of the players he most respected, pointing out how well Smith has done in a different uniform. The 49ers have invested in two young running backs, Carlos Hyde and Kendall Hunter. The latter will be coming off an ACL injury. The 49ers also don’t have a lot of cap space. They might want Gore to give them a hometown discount. Gore has to weigh his options and decide where is his best chance for a championship. If he leaves, I’ll miss him. He has been one my favorite athletes to cover ever since he arrived with the 49ers. Many sports fans can’t believe that sports journalists don’t root for teams. Though these days plenty of “media” cross the line into fandom, professionals who cover teams for impartial outlets do not root for teams they cover. We don’t cheer for the laundry. That part is easy. However, we do get attached to the good people we cover. And Gore is one of them: honest and humble and respected by all. The 49ers need him more than he needs them. His loss would be huge to a team that will be struggling to remake itself. I hope he goes and gets himself a ring. I’ll be the first one cheering. Michael Irvin, an NFL Hall of Famer and NFL Network analyst will be the headline speaker at LSU's Football Coaches Clinic March 19-21. The clinic is not open to the public. Former LSU receiver Jarvis Landry will also be on the bill along with former Tigers defensive line coach Pete Jenkins, Cincinnati Bengals offensive line coach Paul Alexander. LSU defensive coordinator Kevin Steele and offensive coordinator Cam Cameron along with first-year Tiger defensive line coach Ed Orgeron will also address those attending. "We've put together another great lineup for our coach's clinic again this year," LSU coach Les Miles said. "Michael Irvin is one of the best to ever play the game so it will be great to hear his message and share stories with someone who has accomplished so much because of the game of football. "This is as good a group of speakers for our clinic that we have ever assembled. d. "In addition to the LSU coaches who will present, we've also got one of the all-time great offensive line coaches in the NFL in Paul Alexander along with one of the great coaches of defensive line play in Pete Jenkins. This lineup of speakers will make for two tremendous days of talking football and learning more about the game." Irvin, a member of three Super Bowl Champion Dallas Cowboy teams, is considered one of the best receivers to play in the NFL. He caught 750 passes for 11,904 yards and 65 touchdowns in 12 seasons. Landry, who just completed an All-Rookie campaign with the Miami Dolphins, will speak to the group of coaches at 5:15 p.m. on Friday. "I'm excited to have Jarvis (Landry) address our group to share his story and talk about our program and what his first-year NFL experience was like," Miles said. 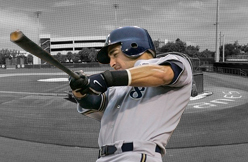 PHOENIX -- Ryan Braun arrived in Milwaukee Brewers camp this spring feeling a little uncertain. That's a major step forward from last spring, when he showed up feeling awfully besieged. Last February, Braun had barely unpacked his stuff when he did a mass interview in conjunction with his return from a 65-game PED suspension. Then he turned his attention to a position switch from left field to right field and some early concerns over a lingering thumb injury. Braun is in a more serene state this spring. His wife, Larisa, gave birth to their first child, daughter Celine Elysse, in September. He's better acquainted with the nuances of right. And while he will never fully escape the Biogenesis cloud, he's in a lot better place than Alex Rodriguez is right now. That leaves the thumb injury. A few days after the regular season, Braun underwent a cryotherapy procedure, which involved inserting a needle into the base of his right thumb to freeze a damaged nerve. PED skeptics are going to think what they want to think, but Braun's thumb injury appears to have played a significant role in his power drop-off in 2014. He hit only 19 homers in 530 at-bats, while slugging a career-low .453. He slugged .597 on his way to winning the NL Most Valuable Player award in 2011 and .595 while finishing second to San Francisco's Buster Posey in the 2012 MVP balloting. "As a hitter, the two things you really need to be successful are your eyes and your hands," Braun said on a rainy Monday at Maryvale Baseball Stadium. "Whenever you have an issue with either of those two things, it makes an already very challenging game that much more challenging. "The big challenge is, I couldn't really use my top hand. As soon as I made contact my top hand was irrelevant, so I was trying to stay inside a lot of balls and take an inside-out swing and kind of filet it to right field." After finishing sixth in the NL with 650 runs scored in 2014, the Brewers are dealing with some minor issues and changes this spring. Catcher and 2014 MVP candidate Jonathan Lucroy will miss much of spring training with a hamstring injury -- although the Brewers hope he'll be ready by Opening Day. New first baseman Adam Lind is transitioning to the NL after playing nine seasons in Toronto, and third baseman Aramis Ramirez is another year older and closer to retirement at age 36. A healthy, productive Braun would take a big weight off everybody's mind. "He's in a better place, coming in with more certainty," said manager Ron Roenicke. "We'll see what happens with the thumb when he gets out there every day, taking a beating and getting jammed sometimes. Hopefully that won't be an issue and he'll get back to being the player we're used to having." Braun expects to have a more definitive feel for how successful his offseason surgery was by the end of spring training. For the moment, he describes himself as both "very encouraged" and "cautiously optimistic." His eight seasons in the majors have taught him that a baseball season can take some very unexpected twists and turns. Nike’s The Opening regional camp series began today in Miami. One of the attendees was 2017 Miami (Fla.) Gulliver Prep running back Robert Burns, who is committed to the University of Miami. Burns generated some buzz earlier today when he guaranteed that “the U will be back.” Burns also took a picture of himself throwing up the “U” with one of Miami’s greatest running backs, Edgerrin James. There’s a while to go before Burns will be able to contribute for the ‘Canes on the field, but Miami fans have to love his presence on social media today. Q. Briefly describe your journey to this point. Where did you grow up and how did you first get into playing football? EF: I’m originally from Kansas, but I moved down to Miami when I was six. I went to high school in Miami Norland, and I played ball with Duke (Johnson). We went to high school together and then we moved on and played together in college at Miami. I actually started playing basketball first, but I didn’t see a future in that so I went on to play football my junior year. Q. What led you to the University of Miami? EF: I grew up watching Miami, and my dad was a fan. I had season tickets before I even played there, so when I got my opportunity to play there it was an easy decision to make. Q. Was there any specific reason you ended up playing on the offensive line? EF: I initially wanted to play defensive line, but my coach needed someone to play offensive line and I was the biggest person on the team so he put me there. Q. How does your basketball background help you play the left tackle position? EF: It helped me a lot with my feet and overall athleticism. Q. With the college season over, what do these next few months look like for you as you prepare for the NFL Draft? EF: I’ve been training with a few of my teammates at Bommarito. We’re there from 6:30 am to 4:00 pm every day, except Sundays. We’re there every day just preparing for each event–the Combine, the Pro Day, and the Draft. Q. Is there a specific part of your game you’re working on improving? EF: I’m really just trying to improve my overall game. I want to work on my hands a lot more. I want to work on my technique and really improve on it. Q. Many draft analysts have you rated as one of the top offensive tackles in this year’s class. 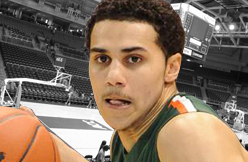 For people who may have not watched you at Miami, define your game for us. EF: I’m a pretty well-rounded offensive lineman. I love to run block, as well as pass block. I have pretty decent athleticism, especially when it comes to hooking guys on the edge. I play with a lot of passion and heart when it comes to playing in this game. Q. Watching you at Miami, one game that stands out to me is your performance against Florida State where you shutout Mario Edwards. Do you have a specific game or moment at Miami that stands out to you and maybe signified you could take your game to the next level? EF: To be honest with you, I really don’t. For me, I believe each game I progressed since I played as a freshman. I never really had a game where I felt like I arrived. Everything over my career has just been a progression. It wasn’t something where I just had one good game. I felt like everything was just a process and that I got better each week. Q. Offensive linemen are often the unsung heroes of a team. What do you love about playing the position? EF: I like everything about it. I like the nastiness of it and everything it takes to be good at it. Duke and I are pretty good friends, so I like seeing him run for a lot of yards. I like being part of the reason he’s having success on the field. Overall, I like everything about the trenches. I like being able to be physical and push defensive linemen around. Q. What do you believe is the most underrated part of your game? EF: I really don’t know what others say about my game. I talk to my coaches, so I know I could do a better job with my technique and hand placement. But I still haven’t found out what teams are looking for me to get better at. Q. Who was the most challenging player you had to block in your time at Miami? EF: I went against some pretty good players. I went against Randy Gregory of Nebraska. I also went against Dominique Easley and Bjoern Werner when I was a freshman. It was kind of like facing a gauntlet of pass rushers playing at Miami. I can’t just pick one. Q. What did you do to prevent these players from beating you in the game? EF: I just try to get in their head. A little talking won’t hurt. Q. As I said earlier, many speak highly of you going into the draft. Do you have an expectation of where you’ll be drafted this spring? EF: I really don’t. I just want to get myself ready to play at that level. When and where I get picked will figure itself out. I really don’t care which round I’m taken. My focus right now is to just be prepared to play at a high level once I am on a team. Q. As a player, is it difficult to not pay any attention to all of the draft coverage in the media or see where you’re project to go? EF: I really don’t follow that stuff. I just play football. That’s my focus right now. Q. Regardless of where you get drafted, what will that moment be like for you when you hear your name called and you’re officially in the NFL? EF: That’s going to be great! That’s going to be exciting. Period. Q. Is it kind of weird at this point, that you don’t know where you’re going to end up or what city you’re going to be living in? EF: Yeah, man, I have no idea where I’m going to be living for the next few years. I’ll watch teams every Sunday wondering if I’m going to be there. I guess you have to be ready for wherever you’re drafted. Wherever I go, I’ll just be ready to go to work. Q. The Packers will look to the draft this spring to improve their offensive line and you’re a guy we believe will be on their radar. How would you feel about playing for a team like the Green Bay Packers? EF: I’d love to play in Green Bay with Aaron Rodgers. They have a great running back too. They were almost in the Super Bowl, and they’re a great team. Green Bay would be a great place to play. It’s one of the best organizations in the league, and they win games. I always like winning. I would love to land in Green Bay. Q. The Packers already have some pretty good players on their offensive line in Josh Sitton and T.J. Lang, and they also have Aaron Rodgers under center. What do you think you could learn by playing with established veterans like these guys? EF: I would love to play on their line. I watch some of their guys and try to learn things from them. I’ve watched Bulaga and tried to pick things up from his game. Q. If drafted by the Packers, what could you bring to their offense? EF: Hard work. Passion. That will to win. I’m hungry to go get it each and every week and I’ll do whatever it takes to win. Q. Tell us a little bit more about yourself. When you’re not playing football, what do you like to do in your free time? EF: If I’m not playing football, I’m probably just working out with my dad preparing for gameday. We’re working on it nonstop. Other than that, I just chill with friends. When you’re in school and playing football, you really don’t have time for anything else. Q. Finally, is there anything else you’d like Packers fans to know about you before I let you go? EF: I would love to play for Green Bay. That’s about it. They're just numbers. Everything gathered at the combine—the 40, the jumps, the change of direction drills. Just numbers. They can't and don't tell the entire story on any draft prospect. However, if a prospect fails to meet expectations at the combine or flat-out bombs the workout, those numbers become something more. They become questions. When a prospect runs a slow time or fails by some other grading tool, teams have to know why. And that means scouts need to do more homework. The question raised needs to be answered in the scouting report before a team can finalize its draft board. "When you grade tape, you always have in your mind a 'play speed,'" former Chicago Bears Director of College Scouting Greg Gabriel explained. If on tape, a prospect looks like he's running the equivalent of a 4.45, that's his play speed. But if he then runs a 4.62 at the combine, Gabriel said, teams think, "Wait a minute, he's not the athlete I thought he was. I have to go back and watch more tape." Along with TCU's Paul Dawson, I would also mention Michigan wide receiver Devin Funchess (4.70), Miami cornerback Ladarius Gunter (4.69) and TCU safety Chris Hackett (4.81). I watched all these guys on tape. Those are all good football players, even if they didn't test well in Indy. They will play in the league. I saw Gunter up close on the practice field at the Senior Bowl. He isn't afraid to compete, and he found the ball all week, against some of the best talent in the country. He passed the test in pads. Scouts know it would be a mistake to go back and change a prospect's grade based on a poor 40 time after months of studying tape. They know the combine is a stressful environment and not every prospect is going to run his best time at the end of a long week in Indianapolis. That's the message I've gotten from the scouts I've spoken to this week. I've been there as a player. The gauntlet of testing at the combine is exhausting, and you are worn out by the time you complete the 60-yard shuttle run to wrap up the drills. This thing is brutal. That's the best way I can describe it. Now, we would be lying if we said the times, the testing numbers didn't matter. They do, to an extent, and scouts want to see results that somewhat mesh with the tape. But a poor workout doesn't close the book on a kid. This is why Gabriel used to encourage every prospect to run in Indianapolis. "If you go to the combine, and if you don't have a good workout for whatever reason, then you have a chance to redeem yourself at a pro day," Gabriel said. "But if you don't go to the combine, and if you wait till your pro day and you bomb, you're done." Dawson, Funchess, Hackett, Gunter and any other prospect that didn't quite meet the bar at the combine can change the narrative, improve their times and put to bed the questions about speed, movement skills and flexibility when they run on campus. The pro day is a great tool, and the comfort level of these prospects will rise when they run on campus. Just think about it: You dress in your own locker room, warm up with your college strength coach and test with your teammates. It's a beautiful thing compared to the stale environment of Indianapolis. You are much more relaxed, and the times usually reflect that. Gabriel mentioned Devin Hester as an example of how times will improve back on campus. Hester ran in the 4.4 range (a very solid time) at the combine, but he wasn't "Devin Hester fast," according to Gabriel. Then when Hester ran at Miami on his pro day, he posted a 4.35 time—on grass. NFL teams can average the two times together, and it's up to the top decision-maker on the time they will use for the scouting report, but the majority of scouts I talked to said they take the best time—regardless of where the prospect runs. "I always took the best time. Some people average them out. But when you average them out, you're talking different surface, different time, different place," Gabriel said. "Look at it this way, does Usain Bolt run a 9.6 100 meters every time he runs?" Turns out the 49ers might need Frank Gore more than Gore needs the 49ers. That’s particularly true for a 49ers team that needs as much good pub as it can possibly get after the fiasco that ensued when Jim Harbaugh left. After 10 seasons and over 11,000 rushing yards, Gore’s mug might be the most recognizable on the team. No one plays with more class than Gore, whose work ethic and dedication always soaks through the entire team. Gore’s deeds are immense and his words are sparing, so when he tells the media that so-and-so “is a football player” everyone instantly knows he has the Gore stamp of approval, and nothing goes further than that. The 49ers know all of this, and that’s why the team may be eager to sign him. His 100-yard games at the end of last season are proof he still has plenty left. His space-age training regiment certainly helps, and he is Denise DeBartolo York’s favorite player, and SHE is the one who actually owns the team. It’s in her name. Furthermore Gore could come at half his $6 million-a-year price from the last few years. And the 49ers are always looking to shave player cost. At the combine, Gore’s agent Drew Rosenhaus met with team officials according to reports. The two sides left and no deal was struck. That likely means Gore will shop the free-agent market, and wouldn’t he look good in the Colts’ blue-and-white? He might think so. Gore could be the weight that tips the scales for Indy as a true Super Bowl contender, and for the first time, Gore would be playing with a richly-talented quarterback. It had to be frustrating for Gore to pass block like a demon, and then watch while Colin Kaepernick fled a perfectly-defined pocket. In fact, so frustrating that Gore didn’t pass block very well last season. But if Gore knew that Andrew Luck would make a team pay dearly for blitzing a linebacker, Gore is likely to flat-back a ‘backer or two in pass pro. Gore has waited too long, and dedicated too much to a team that now may be returning to mediocrity. If he could be a center piece for another team poised for a Super Bowl, Gore could bolt. In the final analysis Gore wants to stay. He has mad respect for running backs coach Tom Rathman, and if Gore can still be the main guy carrying the mail, he could finish his career as a 49er. But now, it’s up to the 49ers to deliver on their end with both a contract and as a team that can win. If the 49ers can’t deliver, the mug of the franchise could be playing for someone else. The Tampa Bay Buccaneers could be active in trades on draft day. 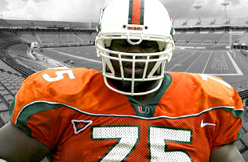 Specifically, Charlie Campbell reported on the Pat and Aaron Show on 620 WDAE that they could trade back up into the first round to draft Miami tackle Ereck Flowers. Campbell used to cover the Bucs for Pewter Report, so he certainly has some connections in the area. 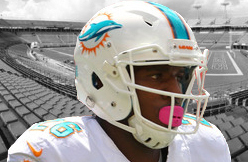 Flowers is an intriguing prospect, playing left tackle for Miami over the past three years. CBS Sports have him as their 21st overall prospect, while ESPN have him as their 16th overall prospect. At 6'6", 329 lbs. he has outstanding size and he moves very smoothly in pass protection, although he can get sloppy. His size probably precludes him from moving inside, and tall guys like him tend to have leverage issues in run blocking, but the consensus seems to be that he's very talented if a little raw in technique. Campbell also noted that T.J. Clemmings wasn't a very hot prospect among teams. Trading up for a quality tackle would make sense, because the Bucs simply need offensive linemen. They're likely to sign one or two in free agency, but they need to build up young talent at the position too. 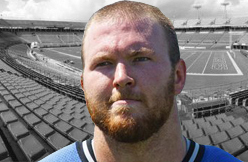 Logan Mankins is old, Demar Dotson won't be around forever, and Evan Dietrich-Smith is highly replaceable. They really don't have any long-term building blocks. So yeah, trading up for Flowers or some other offensive lineman would make quite a bit of sense. TAMPA — It has been 28 years since the Buccaneers last owned the No. 1 overall pick in the draft, when they targeted a Heisman Trophy-winning quarterback from a state powerhouse who was coming off a disappointing loss that ended chances for a national championship. Except then, there was no debate about who was the best player the worst team in the NFL should select. Not a single argument. 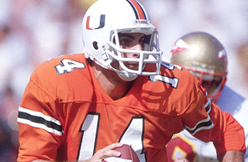 Vinny Testaverde doesn't remember even talking to another team before the draft. All the scrutiny he faced — the cruel billboards and newspaper cartoons — came after he signed a six-year, $8.2 million contract with the Bucs. "I don't remember meeting with anyone," Testaverde said. "I talked to Ray Perkins in the Japan Bowl at practice, but nobody really interviewed with me." In his second pro season under the heavy thumb of Perkins, the Bucs' coach, GM and offensive coordinator, Testaverde threw 35 interceptions, still the second most in NFL history. If that didn't destroy him, what he endured off the field should have. Everybody took shots, and negative opinions flew like Testaverde's wayward passes, rarely hitting the target. He was not bright enough to be an NFL quarterback, they said. He was color-blind, he admitted, and that was served up as an explanation as to why he threw to the wrong guys. But the truth is that Testaverde was asked to carry on his back a young team that didn't have the same talent advantage over the competition as the one he left at the University of Miami. "From my junior year through my senior year, I received all those accolades and was the first pick in the draft. It's a lot for a young man to take on," said Testaverde, now 51, a father of two daughters and a son with his wife of 24 years, Mitzi, and living on a lake in north Tampa. "Sometimes you're so caught up in your own little football world with teammates and all the coaches, you don't realize all the pressure that's involved until afterward. But coming to a team like Tampa Bay, coming to a team that did not win many games before I ever got there, that was stressful in itself. "(I was) just feeling like, okay, I have to be the difference-maker. Because in college, you can say I was one of the better players, but I had the talent around me. I had Michael Irvin, Brett Perriman, Bennie Blades, Alonzo Highsmith and Jerome Brown. That's what got lost about me. When I came to the Bucs, the talent we had was young talent — Mark Carrier, Bruce Hill, Ron Hall — a lot of rookies learning together and making a lot of mistakes. … At the quarterback position, everything gets enhanced. Everybody looks at it differently, but it is a lot to handle for a young man." Testaverde was drafted to be the Bucs' savior. Instead, he became one of the NFL's most celebrated survivors. Vinny, vidi, vici. He came and conquered the quarterback position for seven teams over an astounding 21 seasons. When Testaverde came off his couch in Long Island to lead the Panthers to a 25-10 win over the Cardinals on Oct. 14, 2007, he became the oldest quarterback to start and win a game at age 43. In between were memorable seasons (two ended in the Pro Bowl) with the Browns, Ravens and (V-V-V-Vinny and the) Jets. The closest he got to a Super Bowl was when John Elway and the Broncos beat his Jets in the AFC title game in January 1999. It turns out that his six hellish seasons with the Bucs fueled his tank for a longer journey. Testaverde had the misfortune of being drafted by the bumbling Bucs of owner Hugh Culverhouse. Long before he arrived, the franchise had lost its first 26 games, failed to re-sign quarterback Doug Williams and lost the 1986 No. 1 overall pick, Auburn running back Bo Jackson, to baseball. The losing got to Testaverde, who in the Miami cradle of QBs had followed Jim Kelly and Bernie Kosar. "You work just as hard as every other player and every other team, and when you don't win games, it's not fun," Testaverde said. "At first, I didn't know how to handle it. I didn't know how to respond to questions about it. I was quite uncomfortable answering questions, or responding to people, even in public. I just kind of figured, take a breath and keep plugging away and the way to fix it was to keep working harder and get everybody believing we can do this." But not everybody believed, and Testaverde didn't lose just ball games. His first marriage ended after 10 months. The divorce was amicable, but he blamed it on his failure to manage anger by yelling and beating on walls. His color-blindness was lampooned by a bright blue WFLZ billboard that read: VINNY THINKS THIS IS ORANGE. Even this newspaper ran a cartoon at Halloween with a man sailing candy way over the open bags of trick or treaters with the caption: Thanks, Mr. Testaverde. Ah, but Vinny got the last laugh. His golden arm never betrayed him as he passed for 46,233 yards in his career, ninth all time. Today Testaverde is a restaurant owner and investor, having recently sold an Outback Steakhouse in California while watching PDQ chicken restaurants in which he is a partner open in north Florida. He also tutors high school and college quarterbacks, including his son, Vincent Jr., who recently enrolled at Miami. Testaverde loves Tampa and still follows the Bucs. On this day, he was asked the proverbial question: Jameis Winston or Marcus Mariota? "Coming out of college, you're the first overall pick and a Heisman Trophy winner," he said. "There's great expectations. The previous year (the Bucs) didn't have a great year, so they're expecting great things. Hopefully, (Winston's and Mariota's) career will start out better than mine, and hopefully it will last even longer than mine did." 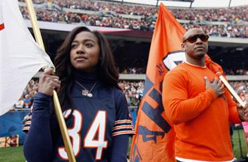 Brandon Marshall may have claimed that his Twitter dust-up with a Detroit Lions fan was intended to launch an anti-bullying campaign but Jarrett Payton and his foundation are taking a more constructive approach. The Jarrett Payton Foundation will host its first-ever “Strike Against Bullying Celebrity Bowling Event" on Thursday, Mar. 5 at Kings Bowl, 5505 Park Place in Rosemont. This event is intended to grow into an annual gathering where celebrities and the general public come together for a night of great bowling, delicious food and festivities to support a great cause. Proceeds from the event will help fund Foundation programs that include “Project: No Bull” and the Jarrett Payton Leadership Academy. Jarrett will be joined by celebrity guests George McCaskey, Charles “Peanut” Tillman, Jerry Azumah, Rashied Davis, Peggy Kusinski, Ryan Baker, Dionne Miller, John Garcia, David Haugh, David Kaplan, Jim Cornelison, Israel Idonije, Chris Boden and this reporter, to name a few. Ticket prices are $50 for General Admission and $100 for VIP. VIP tickets include VIP Reception with Meet and Greet and food. Both General Admission and VIP tickets include: two drink tickets, pizza, upper viewing deck to watch the bowling, and access to celebrity bowlers. Registration for the “Strike Against Bullying Celebrity Bowling Event” is open to the public and can be completed at http://jarrettpayton.org/event/strike-against-bullying/. SCOTTSDALE, Ariz. -- Mark Grace sounded part TV announcer, part stadium emcee and part assistant hitting coach. As he led eight Diamondbacks catchers split into two teams through a game simulation hitting session on Tuesday, Grace called the score and result of each at-bat -- a playful interaction with fans who had showed up at Salt River Fields to keep tabs on the competition. "That's Peter O'Brien, folks," he said to the crowd. D-backs manager Chip Hale approaches such results with cautious optimism until his hitters see live pitching. Yet, the fact that the rest of the catching crew weren't launching balls over the wall with such ease said something about where O'Brien stands. He's a power hitter playing catch-up at catcher. A full season in the minors behind the plate last season has him confident he's up to snuff with the other seven catchers in camp, though his lack of experience catching major-league pitchers would seemingly put him at a disadvantage. Acquired in the trade last season that sent Martin Prado to the New York Yankess, O'Brien hit a combined .271/.316/.594 with 34 home runs for Single-A Tampa and two Double-A teams. He hit a home run every 11.7 at-bats, and his home runs accounted for 31 percent of his total hits. His 111 strikeouts (and only 21 bases on balls) are an indication of one area he'll need to improve upon as he progresses up the ladder to face the world's best pitchers, but the D-backs already saw some of that in the Arizona Fall League. O'Brien had five home runs in 86 Fall League at-bats and walked 17 times, along with 24 strikeouts. The catching is the question mark, but the Diamondbacks sound as if they believe he has what it takes. Logically, it would seem some more full-time work behind the plate in the minor leagues would be beneficial, but the D-backs don't want to rush to judgment. "He's been here since the first of the year, being dedicated to improving his catching skills," general manager Dave Stewart said. "We've got the rest of this month and all of March to really get the work in, but one thing he's done is he's not shied away from the work. He's received instruction very well." Yin Yoga is a big part of O'Brien's offseason training regimen, and it helps hip flexibility and mobility. "We were out there pretty early in January doing bare-hand stuff and working on my exchange and my footwork and my receiving and a lot of flexibility stuff in the weight room. The flexibility is definitely the big thing because I'm a bigger guy," said O'Brien, who measures 6-feet-3 and 215 pounds. Now it's putting those things to practical use on the field. D-backs president and CEO Derrick Hall said he senses that fans are eagerly watching the competition among the catching candidates -- and in particular O'Brien and Rule 5 draftee Oscar Hernandez, and manager Hale has picked up on that, too. "One thing I learned early on when I was a player with the Minnesota Twins ... we're entertaininers," Hale said of O'Brien. "He can do that with the best of them." And he added one warning to those fans driving to and from Salt River Fields while O'Brien is taking batting practice: "You got to be careful where you drive." While Cardinals center fiedler Jon Jay is making progress from wrist surgery, the team is not expecting him to play in any of the early games in spring training this week, reports the St. Louis Post-Dispatch. Jay had surgery on his wrist during the offseason and said his goal is to be ready for Opening Day. "This is about April 5," Jay said. "That's the date that matters. I'm getting ready for April 5. I have five weeks now to be ready." PHOENIX -- While the signing of Francisco Rodriguez shifted roles around in the bullpen of the Milwaukee Brewers, those vying for the final spots in what is likely to be a seven-man relief corps watched as one of the few openings was suddenly gone. 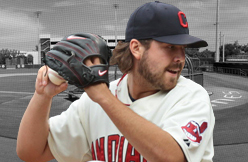 Earlier in his career, Chris Perez might have let that bother him. But the 29-year-old knows there will be a job for him somewhere if he performs well in spring training. 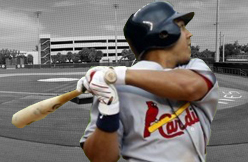 "That didn't really change my goals coming in," Perez said before Saturday's workout at Maryvale Baseball Park. "I still have to pitch really well. They still have a spot open. I'm going to do everything I can to make the team. If not here, hopefully somewhere else." The Brewers signed Perez to a minor-league deal in early February, adding the former All-Star closer to the bullpen mix. Milwaukee had at least two bullpen openings when he signed, but one was filled Thursday when the club agreed to terms with Rodriguez on a two-year deal. If Rodriguez, Jonathan Broxton, Will Smith, Jeremy Jeffress, Neal Cotts and Brandon Kintzler all make the Opening Day roster, just one bullpen spot remains. Things become more complicated if Tyler Thornburg and Jim Henderson get through spring training healthy and able to contribute. "Everything always looks good on paper or on the board, but stuff happens in this game," Perez said. "Last year there were all kinds of injuries. Knock on wood, you never hope anyone goes down, but it is part of the game. That's definitely something that's part of the game. "I know there are going to be other scouts watching. I have a couple outs in my contract. I just have to pitch well and everything else should take care of itself. If not here, hopefully somewhere else. If not somewhere else, hopefully I go to Triple-A and pitch well there to get called up early. That's all you can do." The Brewers must add Perez to their active roster five days prior to Opening Day or pay him $100,000 to stay in the organization at the Triple-A level. Perez then has the potential to opt out of his contract on May 1 and June 1 if he isn't in the big leagues. After accumulating 124 saves over his five years in Cleveland, Perez signed a $2.3 million deal with the Dodgers before last season to serve as the setup man to closer Kenley Jansen. He ended up struggling to a 4.27 ERA in 49 appearances and saw his role diminish as the season went on. The Dodgers prevented Perez from reaching a $500,000 bonus for appearing in 50 games by not pitching him over the final week of the season. Milwaukee decided to take a chance on a former All-Star closer who still has good stuff. According to fangraphs.com, Perez's average fastball was 94.3 mph, his highest average velocity since 2010. "Last year didn't go quite the way he's used to, but I think (Brewers general manager) Doug (Melvin's) idea of why he brought him in is because he has that experience and he's done well at it in the past," Brewers manager Ron Roenicke said. "It is always nice to have guys in there trying to make your team that have that kind of stuff and have been successful in the past." This spring will be a much different experience than what Perez is used to, as he's competing for a roster spot for first time since he was first breaking into the big leagues with St. Louis in 2008. In the seven years since, Perez is 16-24 with a 3.51 ERA and 133 saves in 393 big-league games with the Cardinals, Indians and Dodgers. "I can't just go out there and say I'm working on stuff," Perez said. "I need to get results. I don't know if that's going to help me in the long run, but having to strap it on and bear down and get outs now. Hopefully that gets me locked in for the whole year instead of cruising through spring and trying to lock it in the last couple of outings. "Every opportunity I throw I'm taking it as a serious situation. I'm trying to make pitches and try to get better every time out. I've thrown off the mound three times and I feel like every time has gotten better and better. Hopefully I just carry that into games." The game of baseball can humble players in a variety of ways. Perez is just two years removed from when back-to-back All-Star Game appearances left him thought of as one of the best closers in the American League. Now he's in a fight to continue his big league career at just 29 years old. "Hopefully my career is not done and this is just another chapter," Perez said. "I feel like I'm a better pitcher for what I've gone through. Experience-wise and just learning different roles in the bullpen. It is different coming in during the fifth inning or the sixth inning. The hitters take different at-bats against you than at the end of the game. Learning that last year and mixing up my pitches, I feel like I'm a better equipped pitcher going forward. "I feel like I still have a lot left. I have to take care of my stuff and everything else will take care of itself. I think having that experience of having been there, done that, it doesn't ease it, but it kind of takes that, 'I have to make it,' away. I just have to focus on being a good pitcher and getting outs." Dodgers catcher Yasmani Grandal has impressed at Camp Boomer, presided over by Dodgers coach Steve "Boomer" Yeager, MLB.com reports. 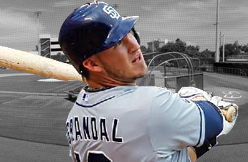 Grandal was acquired this offseason as the centerpiece in the trade that sent outfielder Matt Kemp to San Diego. "In a short time, I've already learned a lot," Grandal said. "Getting to know the guys, catching bullpens, I'm getting a feel for how they throw. Everything comes with time. Once the games start [on Wednesday], it'll definitely come a little faster. I need to get to know what guys are looking for in a catcher, what their mentality is. Some guys like you to give them a pat on the back. With others, it's a different approach." Grandal is expected to share time behind the plate with incumbent starter A.J. Ellis this season. Phoenix - A handful of hours after Ryan Braun stated he would have no extra comment on a report linking him to a clinic alleged to have sold overall performance-enhancing drugs to baseball players, a new report surfaced Friday with the Milwaukee Brewers star leftfielder's name on further documents. The new list from the Biogenesis clinic, reported by ESPN's "Outside the Lines," had Braun's name with the figure "1500" next to it. There had been no overall performance-enhancing drugs affixed to his name, but ESPN cited a source that said players on the list received performance-enhancing drugs from Tony Bosch, who operated the now-shuttered clinic in Coral Gables, Fla.
ESPN displayed the list that it stated was hand-written by Bosch last April. The other names on the list had been Alex Rodriguez, Melky Cabrera and Francisco Cervelli, all previously named on documents published by the Miami New Times and/or Yahoo Sports. The ESPN report stated the list was not "definitive proof" that Braun received or used PEDs. But it said a source indicated players on the list received PEDs and that there was "no other purpose to be on that paper." Earlier in the day, Braun reported to the Brewers camp and met briefly with reporters. He stood by his earlier statement that his name was in the clinic's logs since his attorneys applied Bosch as a consultant in preparing their appeal of Braun's constructive drug test from October 2011 for elevated testosterone levels. That test outcome was overturned on appeal, allowing Braun to stay away from a 50-game suspension, with the announcement coming just just after spring education opened final year. Arbitrator Shyam Das, who ruled in favor of Braun primarily due to irregularities in shipping his urine sample, later was fired by Major League Baseball in protest of his selection. Braun said he would have no further comment on the Yahoo report and once again maintained he had nothing at all to hide and would completely cooperate with MLB's investigation into the clinic. Braun did not work out Friday, and the Brewers' session ended just before the ESPN report surfaced. Braun's representatives did not respond to a request by the Journal Sentinel for a comment. MLB spokesman Pat Courtney stated there would be no statement from the commissioner's workplace until the investigation was comprehensive. As for the Brewers, club spokesman Tyler Barnes mentioned, "Nothing has changed with our position. We nonetheless refer any requests for information and facts or comment to Important League Baseball." The document displayed by ESPN with Braun and the 3 other players had plus indicators next to their names. There have been circles around the plus indicators subsequent to the names of Rodriguez and Cervelli, reportedly to show the amounts had been paid. The quantity "4500" was next to Rodriguez's name and "2500" was subsequent to Cervelli, but no number was affixed to Cabrera, who was suspended final season by MLB for testing good for elevated testosterone. The "1500" number subsequent to Braun's name was significantly lower than the "20,000 K to 30,000 K" notation subsequent to his name in the document published by Yahoo Sports. Braun attributed that figure to "moneys owed" to Bosch to serve as a consultant and a subsequent dispute more than the charge. ESPN reported that Braun's name seems on another list of players like dollar amounts and dates but is merely talked about at the bottom of the web page below a line with "Expenses" written on it. Lawyer Martin Singer responded to ESPN with this statement: "My client confirmed last week that there was an alleged claim for revenue owed to Mr. Bosch because he had been applied as a consultant by my client's attorneys in his productive appeal with MLB final year. Various witnesses can corroborate how Mr. Bosch requested over thousands of dollars for his consulting with my client's attorneys final year. My client has no partnership with Tony Bosch, and the only connection Mr. Bosch had was with my client's attorneys as a consultant. It is clear that this is all false." In the course of his session with reporters earlier in the day, Braun declined to take questions about the Yahoo report, saying, "I'm excited to be back out right here for spring instruction surely looking forward to the World Baseball Classic. "I have an understanding of why a lot of you guys are likely here, but I made a statement last week (about working with Bosch as a consultant). I stand behind that statement. I'm not going to address that challenge any additional. As I stated, I am happy to cooperate completely with any investigation into this matter. "I respect the reality that all of you guys have a job to do. Component of that job incorporates asking me queries. I'm happy to answer any and all queries about baseball, spring instruction, the Planet Baseball Classic or something else." Braun was asked about the support of manager Ron Roenicke, who told reporters two days ago that he did not think the Yahoo report ought to have targeted Braun without having evidence as to why his name was in the clinic's logs. "Absolutely, I appreciate everybody's assistance," said Braun. "In life, when you deal with challenges, you see who supports you and who has your back. He certainly has been exceptionally supportive and for that I am really thankful." Braun was asked about following his tumultuous winter of 2011-'12 with a different big season despite becoming below scrutiny and presumably with increased drug testing. He batted .319 with 41 household runs, 112 runs batted in, 108 runs scored, 356 total bases, 30 steals and a .987 OPS. "In baseball, you deal with adversity in life you deal with adversity," he said. "I've constantly said via adversity you identify someone's character. It is definitely easy to do effectively when things are going properly. When you deal with adversity, that's when you see what you happen to be created of. You see what your character is. "Certainly, final year I dealt with some added challenges and adversity. So, it was rewarding for positive." Braun did answer 1 stick to-up question about PEDs. He was asked about MLB expanding its testing for human growth hormone to contain the frequent season immediately after previously undertaking so only once for the duration of spring education. "I've often been supportive of the method," said Braun. "I've normally been supportive of additional drug testing or what ever testing they have that's obtainable." Prior to the ESPN report came out, Roenicke stated he didn't anticipate the latest PED controversy to affect Braun in the slightest. "As a great deal as he went via it last year, he's most likely applied to it," stated Roenicke. As for Braun getting beneath investigation by MLB for possessing his name linked with the Biogenesis clinic, Roenicke mentioned, "I don't genuinely know what to feel about it. All of the information I get is from what I read from you guys. That is all I seriously know." Roenicke noted that Braun has a particular knack for eliminating attainable distractions. "I knew how negative final year was for him as far as his off-season. I am certain it was on his mind each and every day," said Roenicke. "I know what happened right after the choice when we went to distinct ball parks. I think the issue that was impressive was the way he played last year. He had the similar year, was second in MVP. Could have been MVP. "I think it says a lot about his character, for 1. I assume he can overcome some factors that mentally some other guys are not in a position to do. Everybody's character is a small different. I feel everybody handles factors a tiny distinct. "The guys with the makeup that can put things aside are a specific breed. They are going to perform greater for the reason that they can do that."